JNN 06 July 2014 Baghdad : Iraqi Forces Get a Break Through in the War against the Wahabi Terrorist as when Self Acclaimed Caliph of the Islamic State , Abu Bakr al-Baghdadi, the leader of the Wahabi Terrorist outfit Islamic State of Iraq and the Levant (Isis), is said to have been severely injured in an air Raid by the Iraqi Forces forcing him to flee to neighbouring Syria. 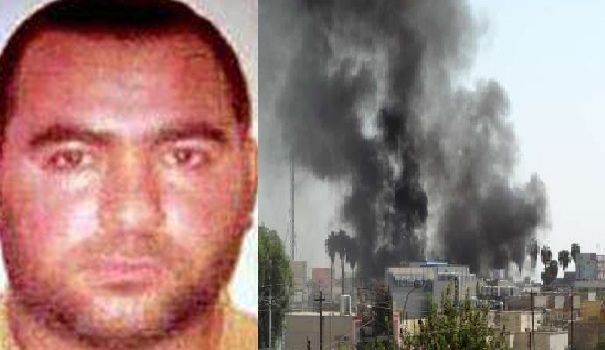 According to a report in the Iraqi news network Al Sumaria, the Terrorist leader was injured during a Air Raid led by Iraq’s security forces in the west of Anbar. “The Iraqi security forces carried out an operation in the city of Qaim on the border with Syria based on accurate intelligence and with the help of the Air Force where the leader of ISIL, Abu Bakr Al-Baghdadi was seriously injured,” said Haidar al-Shara, a representative of the international parliament in Iraq. However, the report has so far not been independently verified. If confirmed, it will be a severe blow to the Terrorist group which has been on the Back Foot as the Iraqi forces Man Power and the Air Power Both has been revitalized , and now the Terrorists are on the Run in several Iraqi cities. The Wahabi Self Acclaimed Caliph has been Deceiving Muslims across the world to join his fight against the Iraqi Forces. While His men has already been Badly beaten by the Syrian forces loyal to Bashar Al Asad , but still Enchanting the Innocent Muslims to conquer places across Asia and Europe, to establish an Islamic caliphate across continents. This entry was posted in Iraq News, Jafria, Middle East and tagged Abu Bakar Al Baghdadi Dead, Iraqi Airforce, Iraqi Forces, Salahdin Province. Bookmark the permalink.